Quantum technologies hold the promise to address intractable computing, communication, and sensing problems by exploiting quantum physics concepts, such as superposition and entanglement. Let us consider a quantum computer, its core being the qubit, which requires classical control electronics, possibly in close proximity. Qubits live at deep-cryogenic temperatures and thus any control electronics should be fully operational at a similar temperature. In this context a new field of engineering is emerging aimed at the creation of cryogenic CMOS (cryo-CMOS) circuits and systems optimized for low-Kelvin operation. Leveraging the advances of the last 60 years in integrated electronics and Moore’s Law, new modeling and circuit techniques, system-level methodologies and design automation are blossoming, often involving knowledge creation and/or renewal. In this talk, we will outline the challenges of modeling, designing, testing, and operating complex circuits and systems at 4 Kelvin and below. We will discuss preliminary results achieved in the control and read-out of qubits by ad hoc integrated circuits optimized for low power and cryogenic operation. The talk will conclude with a perspective on the field and its trends. Edoardo Charbon (SM’00 F’17) received the Diploma from ETH Zurich, the M.S. from the University of California at San Diego, and the Ph.D. from the University of California at Berkeley in 1988, 1991, and 1995, respectively, all in electrical engineering and EECS. He has consulted with numerous organizations, including Bosch, X-Fabs, Texas Instruments, Maxim, Sony, Agilent, and the Carlyle Group. He was with Cadence Design Systems from 1995 to 2000, where he was the architect of the company’s initiative on information hiding for intellectual property protection. In 2000, he joined Canesta Inc., as the Chief Architect, where he led the development of wireless 3-D CMOS image sensors. Since 2002 he has been a member of the faculty of EPFL, where is a full professor since 2015. From 2008 to 2016 he was with Delft University of Technology’s as Chair of VLSI design. He has been the driving force behind the creation of deep-submicron CMOS SPAD technology, which is mass-produced since 2015 and is present in smartphones, telemeters, proximity sensors, and medical diagnostics tools. 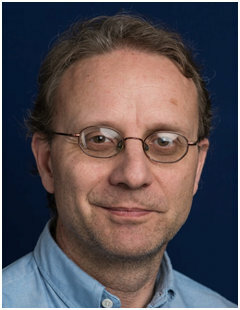 He has also been the strong proponent of using cryogenic CMOS (cryo-CMOS) circuits and systems for the classical control of quantum processors, so as to achieve scalable quantum computers. His interests span from 3-D vision, FLIM, FCS, NIROT to super-resolution microscopy, time-resolved Raman spectroscopy, and cryo-CMOS circuits and systems for quantum computing. He has authored or co-authored over 350 papers and two books, and he holds 21 patents. Dr. Charbon is a distinguished visiting scholar of the W. M. Keck Institute for Space at Caltech, a distinguished lecturer of the IEEE Photonics Society, a fellow of the Kavli Institute of Nanoscience Delft, and a fellow of the IEEE.